It is one of the best books I’ve found. But that Efemera for it. I saw it first on her blog. http://efemera-ink.blogspot.co.uk/ Check out her birds from the same book – they are tiny (I increased the template by a lot for mine) but so gorgeous. ermagawd I totally love that bird! I had to order that book, it should be here Monday. Enabler you lol. Hi, I watched your 2011? Pop up cards on YouTube that’s how I found your blog, which were very nice! 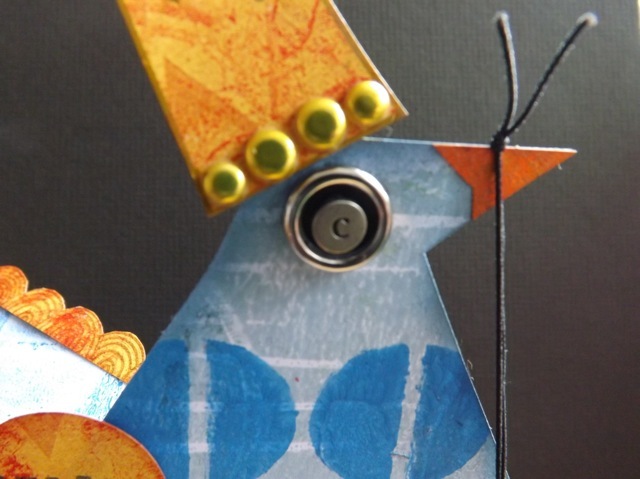 I really like the blue gelli print Bird too. Thank’s for sharing!!! What a gorgeous project – your bird looks absolutely stunning, I’m not sure why but he reminds me of the woodpecker Professor Yaffle that used to be on Bag Puss. Have you by any chance a downloadable pattern for this project? THANKS for sharing theses lovely photos. Lindsay is right! This is an amazing idea .. would be good positioned in a crafts magazine! Wow…I love your bird!! Well done and what a way to use up discarded pieces! 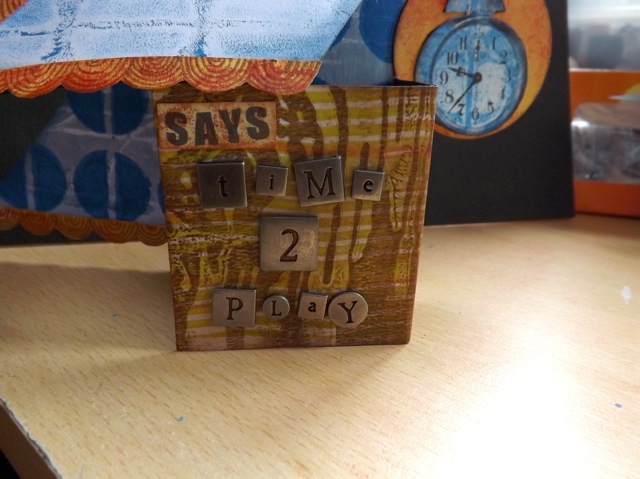 I would love to get a gelli plate but that will have to wait :-(. I keep scrolling up and looking at the bird as it puts a smile on my face… Happy WOYWW. that is beautiful MaryAnne, it should be in a magazine! 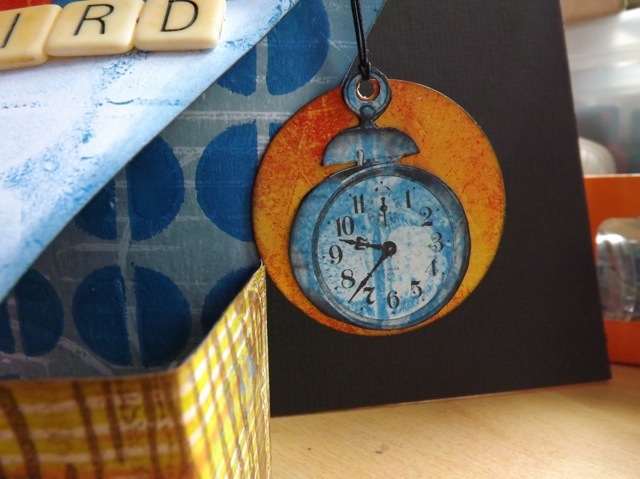 brilliant, love it and made with Gelli scraps now I am going to save all my scraps for sure. Fabulous!!! Thank you for sharing. Fabulous bird, and even better for using up old stash (its SO easy to forget what stash we have when put away…my excuse for keeping most of my stash out!!!!). This is brilliant and magical. Just the sight of this BlueBird makes me think the Easter Bunny had you send me a photo of your wonderful work. Very much like the ‘Time to play’.